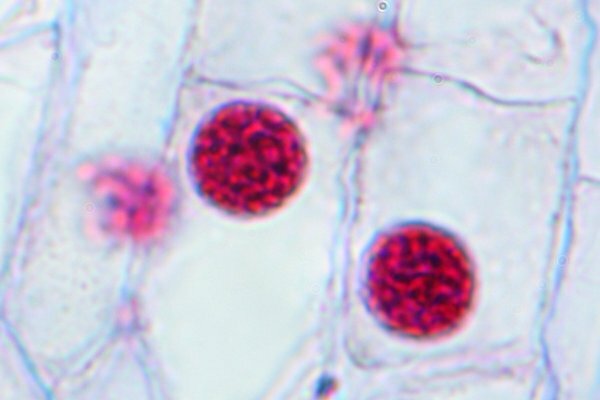 Mitosis is cell division in eukaryotes. 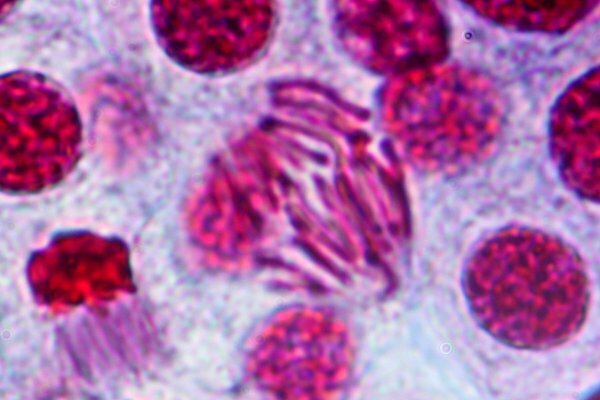 During mitosis the chromosomes are visible. 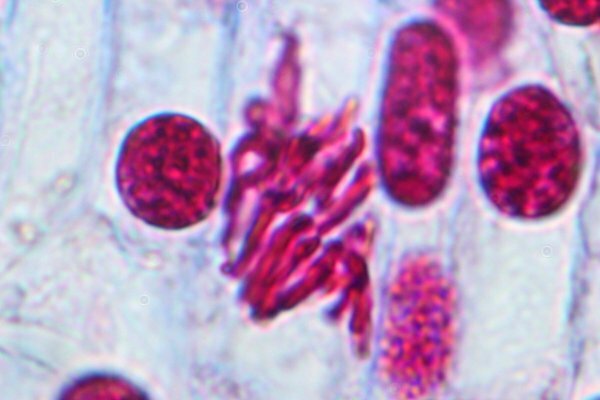 Interphase is not considered part of cell division. The following stages are Prophase, Metaphase, Anaphase and Telophase. Higher resolutions are, unfortunately not available. A magnification of 400x was used to obtain these images. The cells were treated with a dye that has a high affinity for DNA. Prophase. Chromosomes are starting to form. Metaphase. The chromosomes align at the equator of the cell. Anaphase. The two sister chromatids are separated. 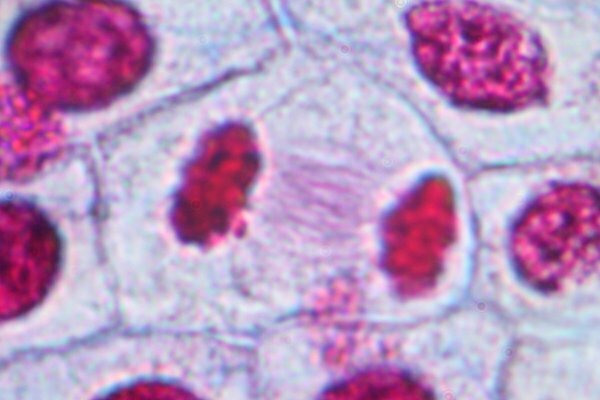 Telophase. 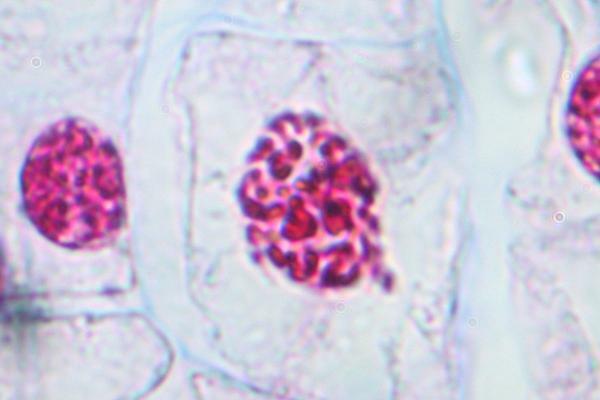 The spindle fibers are still visible between the two nuclei. The cytoplasm has not yet divided. What in the world is microbe hunting? These pictures about mitosis are very useful for my classes in middle school, specially to train the students to recognise the stage before doing their parctical work at the laboratory! wow!how did you take those photos? i dont even get clear dissection..how do you dissect? Hi, this was really simple: the slide was commercially prepared and stained… Sectioning the specimen is indeed a procedure that requires some practice. You need a microtome and many tries.